To create a landing page for the e-commerce work undertaken by Branded Frog Web Development. After prototyping a couple of designs, a simple and uncluttered style proved fitting, with a great PHP contact form, as well as being completely responsive. 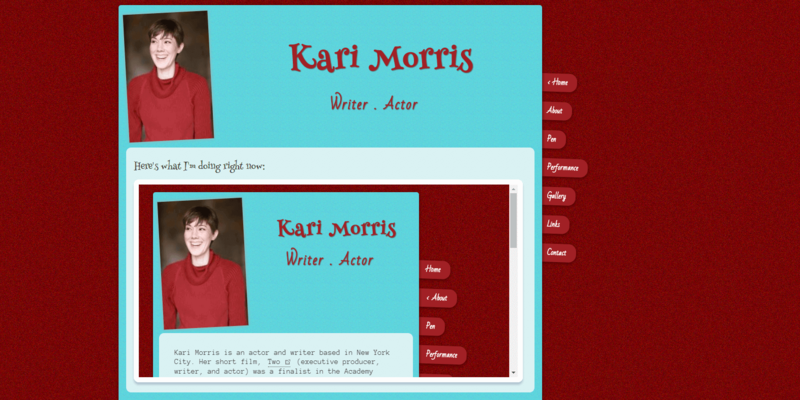 Kari wanted something simple yet fully responsive, incorporating her signature colours of red and aqua blue. A bespoke hand-coded responsive 6-page website, utilising fluid and responsive YouTube and Vimeo videos with fluidvids.js, and the Galleria gallery. Originally based in Missouri, U.S.A., 50% of Shapeera Design relocated to London, England, and established Branded Frog Web Development. A bespoke hand-coded responsive multi-page website with animated home page. Graphics by Branded Frog Web Development.